I have found that the pictures provide an extra support for students learning to read through memorization and sight words. The pictures can then be rearranged and manipulated to create comprehension question choices to check for understanding. 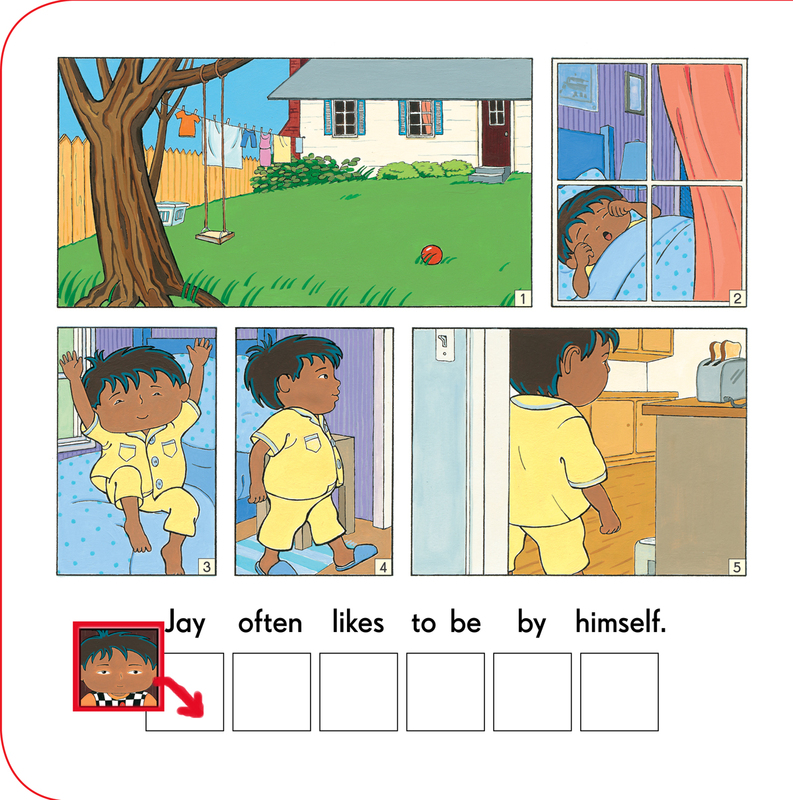 Jay and Ben’s use of functional skills brings the story to life: it not only allows kids to practice functional skills but also gets them to connect to a character in the story through mutual activities. The better we can get at presenting material to students with autism, the more they will gain from school and education. It goes without saying that this will make for better prepared adults when they exit the school systems. The value of informational text and literature being presented in picture form to students with autism is paramount. For someone who thinks concretely and literally, seeing more abstract ideas represented with pictures enhances understanding. Jay and Ben is a simple effective tool that can be utilized in classrooms and homes in multiple ways. Visual tools are always going to be effective when educating students with autism, and it is our job as educators and parents to provide our children with the most effective tools available. Happy reading!